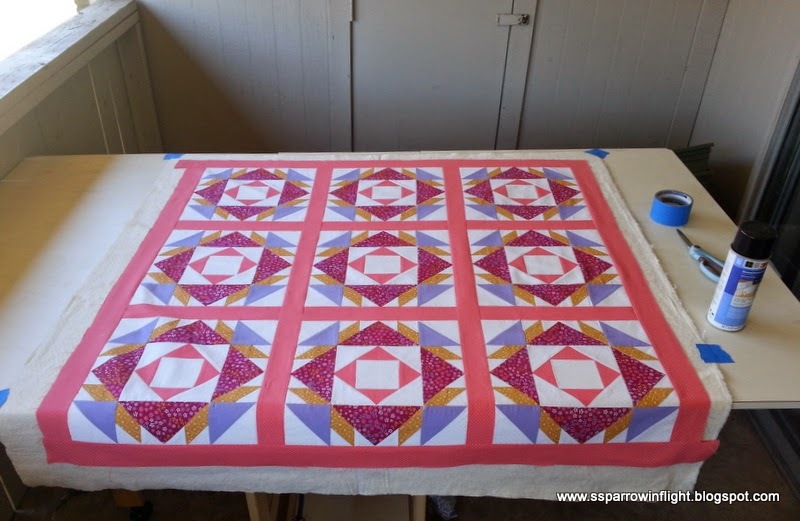 This lovely quilt started out as practice blocks for one of my BOM's, It's set in a simple 9-block with sashing in between. I am thinking of top stitching it in a meandering flower design. I better get to work on it! It looks wonderful. The colors are great. The colors struck me too, especially the coral sashing--but really it isn't any one, it is the perfect mix.